Vascular and interventional radiologists at UT Health San Antonio provide minimally invasive services at the Medical Arts and Research Center and San Antonio’s University Health System, including imaging centers at University Hospital and Robert B. Green Campus. UT Health San Antonio's vascular and interventional radiology team is composed of four board-certified physicians who have achieved additional subspecialized training through ACGME-certified vascular and interventional radiology fellowships. 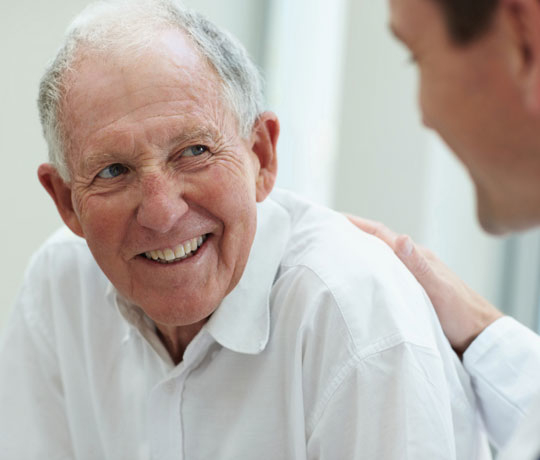 They provide a wide range of minimally invasive procedures that can be performed as ambulatory outpatient visits or require short observation admission periods, typically less than 24 hours. Uterine Fibroid Embolization (UFE): A minimally invasive procedure highly effective in the treatment of symptoms from uterine fibroids. Prostate Artery Embolization (PAE): A cutting edge ambulatory procedure to treat the urinary symptoms from Benign Prostatic Hypertrophy. Vertebroplasty and Kyphoplasty: An ambulatory procedure that helps patients with severe back pain or bone pain due to weakened bones from multiple chronic diseases. Endovascular treatments for Peripheral Vascular Diseases (PVD): Minimally invasive interventions that improve symptoms from arterial or venous circulation diseases. Percutaneous treatments of symptomatic cysts and vascular malformations (AVMs). Tumor loco-regional treatments (ablation, chemoembolization, Y-90 radioembolization, etc): A wide variety of minimally invasive treatment options for a wide range of benign tumors and cancers including liver, lung, kidney and localized metastasis from colorectal, breast and others. Biopsies: percutaneous image-guided ambulatory procedures for diagnosis and staging of a variety of diseases. Drainages and Stents: A wide range of minimally invasive interventions aimed to relief obstructive diseases or drain abnormally retained fluid collections like abscesses or visceral leaks. Gastrostomy tubes and other enteral support drains. Ambulatory procedures to aid in the management and relief symptoms from swallowing or visceral transit problems. Nephrostomy drains and urinary stents: Minimally invasive procedures to treat urinary obstructive diseases or leaks. Advanced vascular access: Ambulatory interventions to provide the adequate vascular access requirements for the medical management of multiple diseases including subcutaneous Port-catheter placements, a variety of tunneled subcutaneous vascular accesses and PICC lines. Hemodialysis access maintenance: Minimally invasive ambulatory evaluation and treatment of failing hemodialysis fistulas and grafts to prolong their functionality. Peritoneal Dialysis (PD) catheter placement: Minimally invasive placement of peritoneal dialysis drains. Hepatobiliary and Portal hypertension percutaneous interventions: A wide range of minimally invasive procedures that diagnose and improve symptoms that result from liver disease.